A couple weeks ago I mentioned in my June wish list that I wanted to order Origins Starting Over (Age Erasing Moisturizer with Mimosa). I wanted to wait to order until Origins has a free shipping event. Well no sooner had I posted that entry did I receive an email from Origins stating they would have free shipping (for the next 3 days) for any order over $30 plus your choice of one of three full sized lip glosses. ALL RIGHTY! So I placed my order online. I have to say I was a little bit nervous ordering as Canada Post was on the verge of a strike but I couldn’t pass up the deal. Origins is so easy to order from. 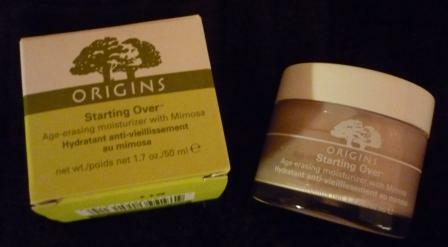 I chose my product Origins Starting Over (Age Erasing Moisturizer with Mimosa) for all skin types $45 USD. They also have a formula for oily skin as well. So one just has to be careful to make sure they select the right one for their skin type. Then it was off to checkout where I chose one of three samples. 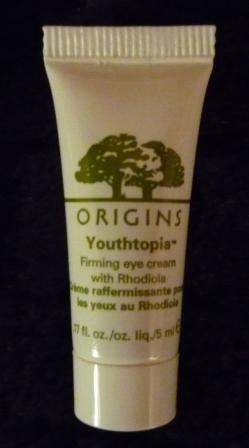 I chose the Youthtopia Eye Cream with Rhodoila (.5ml). I am not sure what Rhodoila is or does LOL. 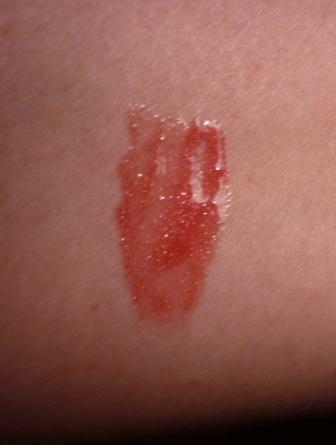 I also chose the Once Upon a Shine in Sheer Ruby (a $15 value). 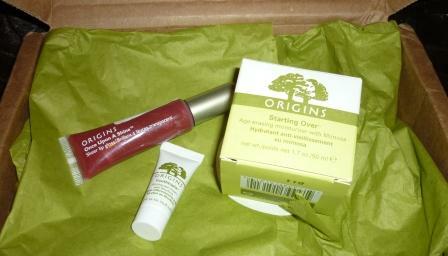 Since I am ordering from Canada, Origins applies a ‘handling’ fee of $5.00 for processing the order. Technically it isn’t a shipping fee but come on! So my order was place on June 10th. And wouldn’t you know it??? Canada Post went on strike a few days later! CRAP! So I thought I was going to have to wait forever. One week went by, then a few more days... AGGHHH. I wanted my stuff! I figured it wasn’t Origins fault the mailman was on strike plus I am all for fighting for your working conditions and benefits!!! so I sat tight and waited. On June 20th Bizrate sent me an email to follow up on my Origins order. You know - was I satisfied with my order, would I recommend them to others blah blah. I mentioned in the mini survey that my order was in limbo somewhere due to the mail strike and I still hadn’t received my order. A hour or so later, Bizrate responded to my ‘survey response’ and had left me a email stating that my shipment was not shipped by Canada Post but by a courier company ,Purolator. They left me a tracking number. I thought that was pretty cool. Bizrate made a friend that day. J So I tracked my shipment and it was in Montreal. Apparently they had to do a shipping address check/correction. I finally got my order last Wednesday (my birthday YAY). I was so happy! My order was addressed to St. Johns, NB. LOL Nowhere close to Winnipeg, MB. Wrong igloo, Origins, wrong igloo! I got my Starting Over (50ml) moisturizer. I have to say I really really like this product. I ran out of my sample about 12 days ago and I ended up with a big ole pimple on my left cheek. Damn it! Now that I am using it again the pimple is gonzoes and the face is happy again. It’s nice to know that this product contains no parabens, PABAs, petroleum or any animal by products. Not that I am a tree hugger but it is nice to know that I am using a ‘natural’ product. I haven’t tried the Youthtopia Eye Cream yet as I am scared I am going to like it as well. That’s how they get you, they reel you with the free samples. I am on to you Origins! Glad you finally got your items! I only knew about the strike b/c we got e-mails at work telling us why our Canadian offices weren't getting anything we sent. Such a mess! Anyway, I haven't ever tried Origins, but I've been to their site. If I remember right, that's the one TiffanyD from youtube uses. Maybe I will check it out after I use up some of my other products. I was so happy to get them! I was leaving for a vacation and needed my night cream! Howdy! This blog post couldn't be written much better! He always kept preaching about this. I'll forward this article to him. Pretty sure he will have a very good read. Thanks for sharing! You are right on the ball. I try to monitor one or two sites for deals. You are a good example of tenacity. I'll be it felt sweet saving on shipping like that. I have a coupon site that I check for most of the coupons that I want. 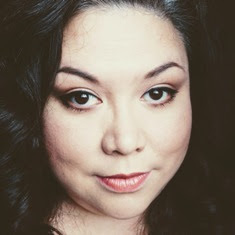 In Her Makeup Bag One Year Anniversary Giveaway!